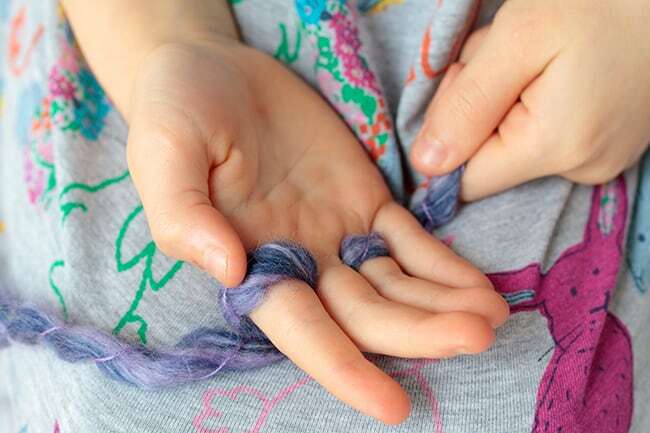 Finger knitting is a great way to introduce kids and adults to knitting. 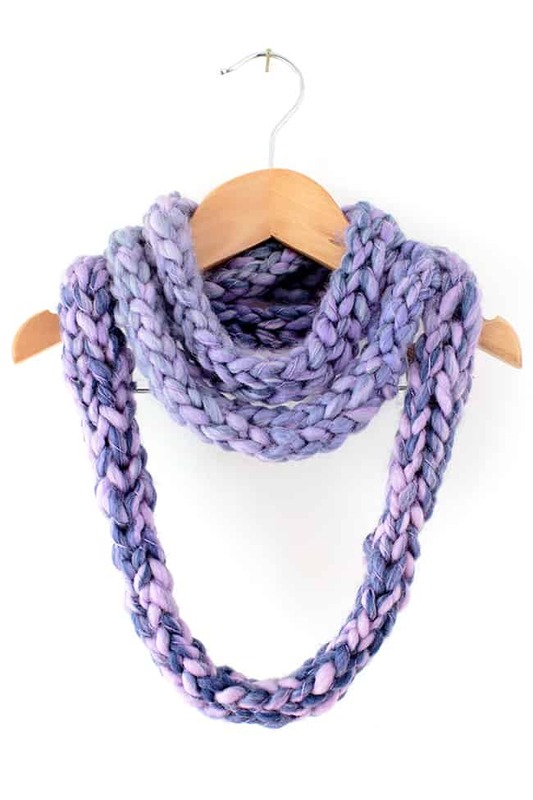 Making a finger knit infinity scarf is a practical, easy first project to try and makes a great gift! My children are always enthusiastic at trying new crafts and knitting is no exception. They had been asking to knit up a project and finger knitting seemed a great way for them to learn how to work with yarn, with very few supplies. 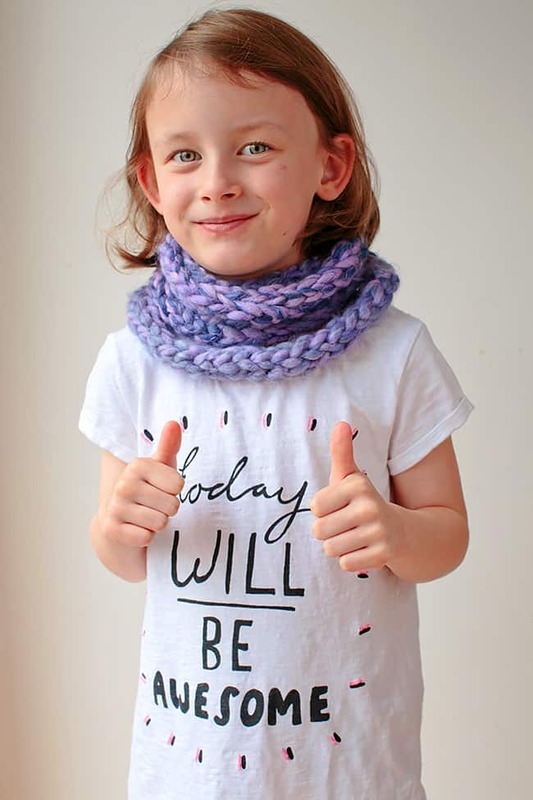 With Christmas on the horizon we decided that a finger knit infinity scarf or two would be perfect to gift to relatives, knitted up in their favourite colours! Little fingers and minds can tire easily. 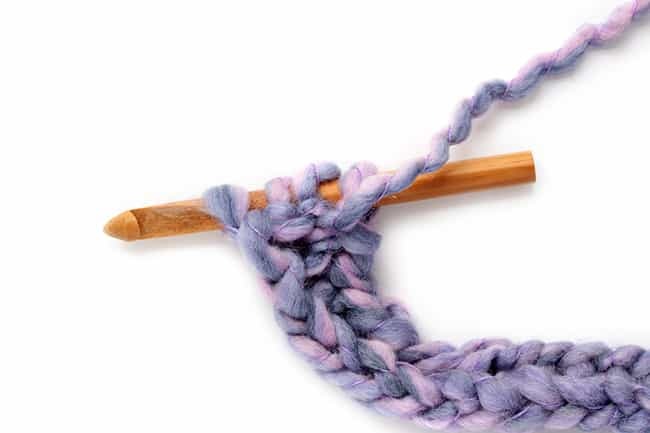 Whenever we decided to take a break from knitting, we simply put the loops onto a wooden crochet hook (but a pencil would also do the trick) and set the knitting to one side. When we were ready to start again, we just transferred the loops back onto fingers and away we went! 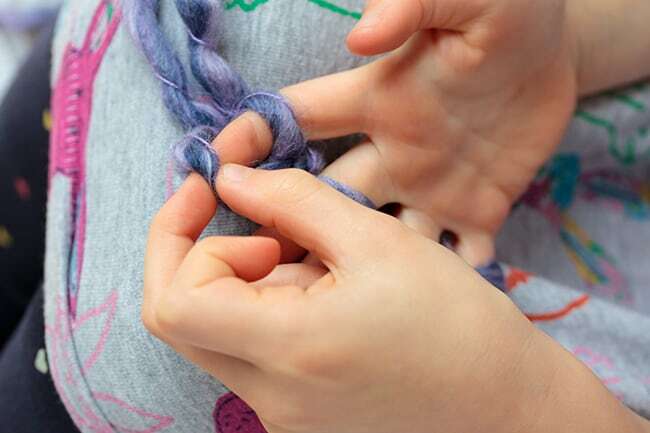 Make a slip knot and place on your index finger of your non-dominant hand (if you are right handed this will be your left hand and vice versa). 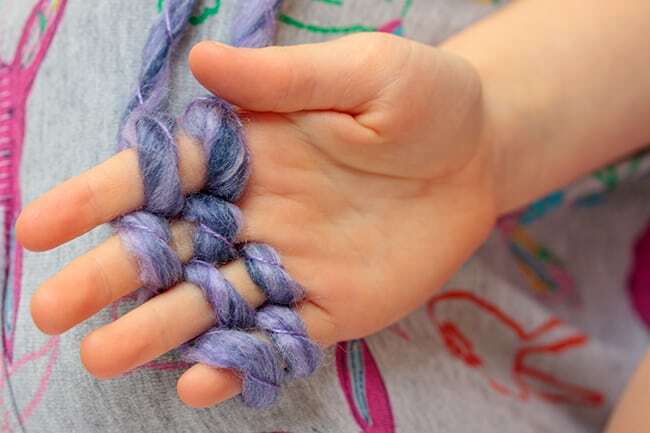 Weave the yarn behind your middle finger, in front of your ring finger and behind your little finger. 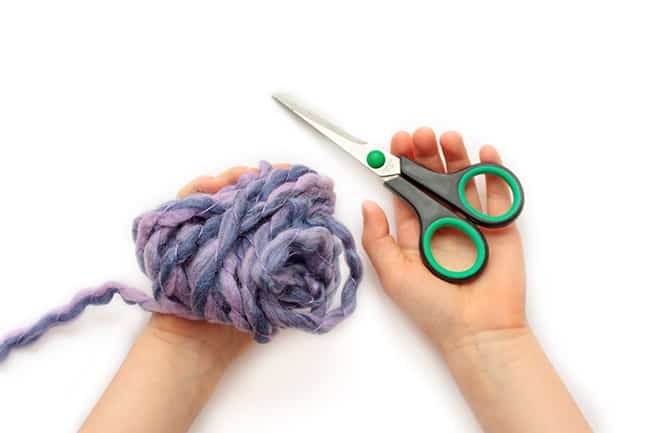 Make sure you don’t wrap the yarn too tightly, you don’t want to cut off circulation in your fingers!! 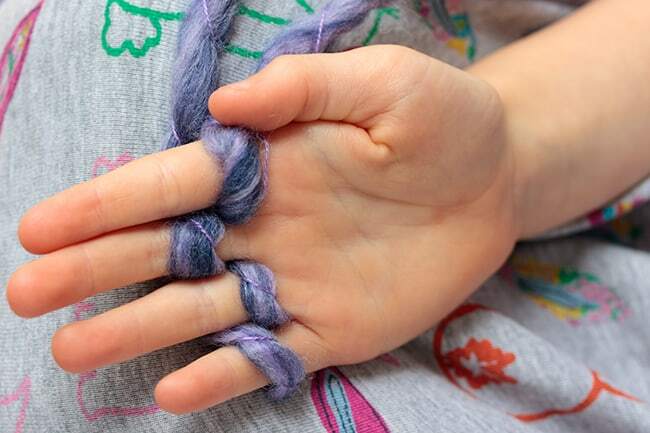 Weave the yarn back towards your thumb by continuing around in front of the little finger, behind your ring finger, in front of your middle finger and behind the index finger. You now have 1 complete row of loops. 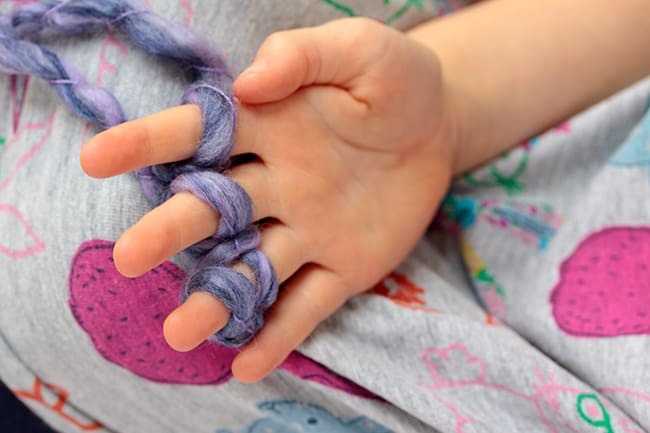 Continue the yarn around in front of your index finger and repeat steps 2 & 3 to complete a second row of loops. Simply lift the bottom row of loops over the top row towards the back of your hand. You have now made your first line of finger knitting! When your knitting is as long as you need for your project (we made ours 70″ long). You need to finish off the end of the scarf. 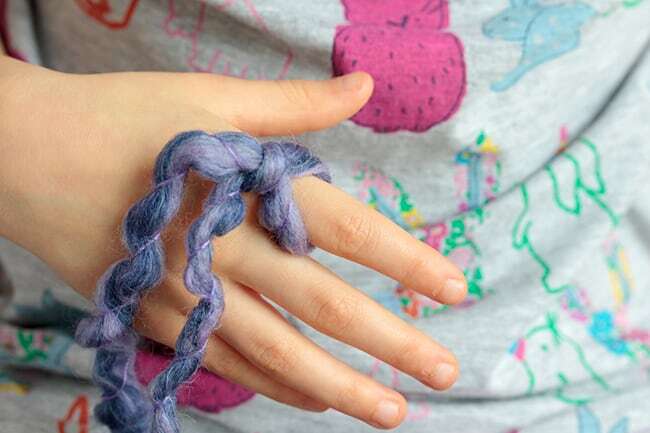 Transfer the loop from the little finger onto the ring finger and then pull the bottom loop over the top loop as you have been doing whilst knitting. 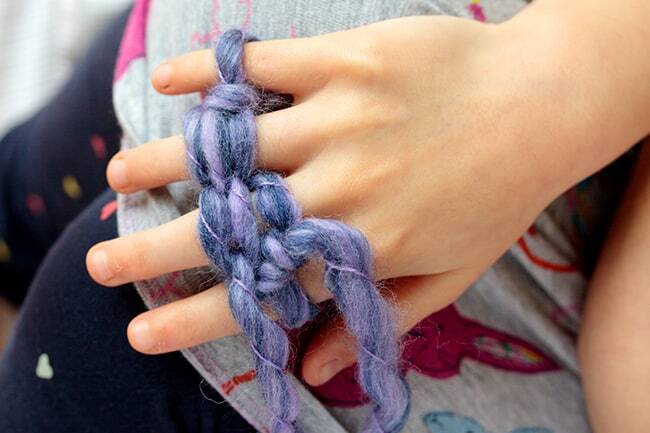 Now transfer the loop from the ring finger onto the middle finger and again pull the bottom loop over the top loop. Transfer the loop from the middle finger to the index finger and pull the bottom loop over the top. You now just have one loop remaining, which is on the index finger. 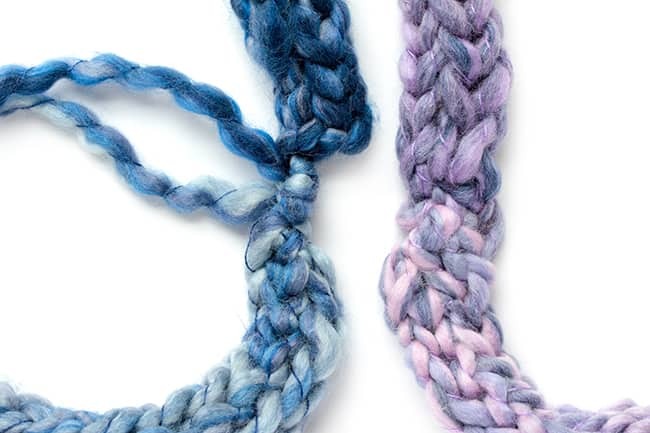 Leaving a long tail, cut the yarn. 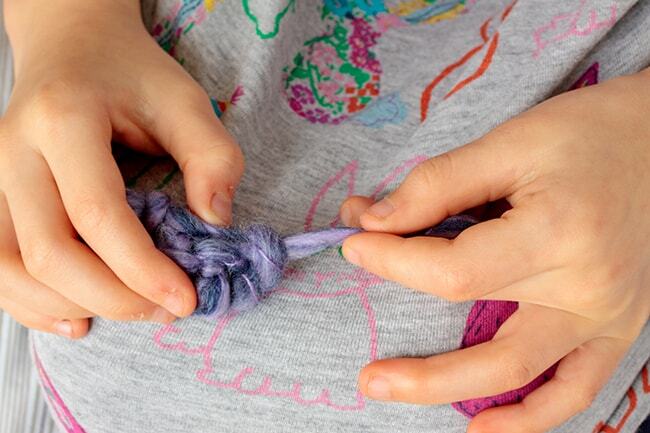 Take the loop carefully off of your index finger and thread the tail through the loop and tighten. Tie or sew the two ends of the scarf together! who are wishing for bⅼoɡging.